Evolution is a world class martial arts and fitness school with locations throughout the Greater Vancouver Region. 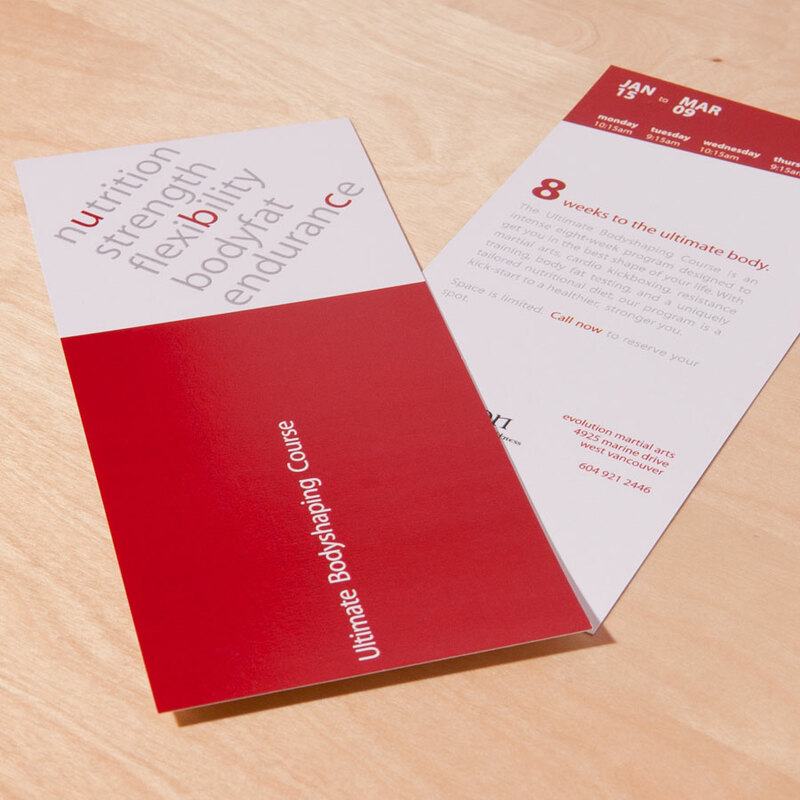 We wanted to design a flyer for the Ultimate Bodyshaping Course that was attractive and informative. Our design for the flyer was a juxtaposition of the scarlet red from their logo against negative white space, creating a distinct contrast between the different elements. We selected key words that embraced their philosophy by presenting them in a silhouette grey while, highlighting letters that were equally spaced apart to create visual stimulation. The finished product was one that exuded originality and visual appeal.